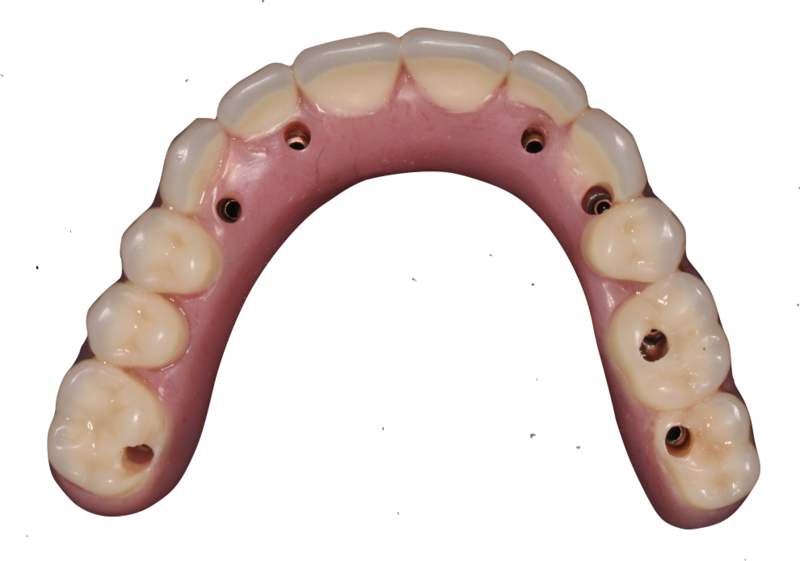 Fixed complete dentures use implants (4 or 6) to hold the denture in place and feel like natural teeth. Unlike their removable counterparts, fixed dentures feel and function like natural teeth and allow you to eat what you want again. The amount of material in the mouth is greatly reduced leading to more comfort. On the upper denture, the palate can be removed to enhance temperature perception and improve taste. 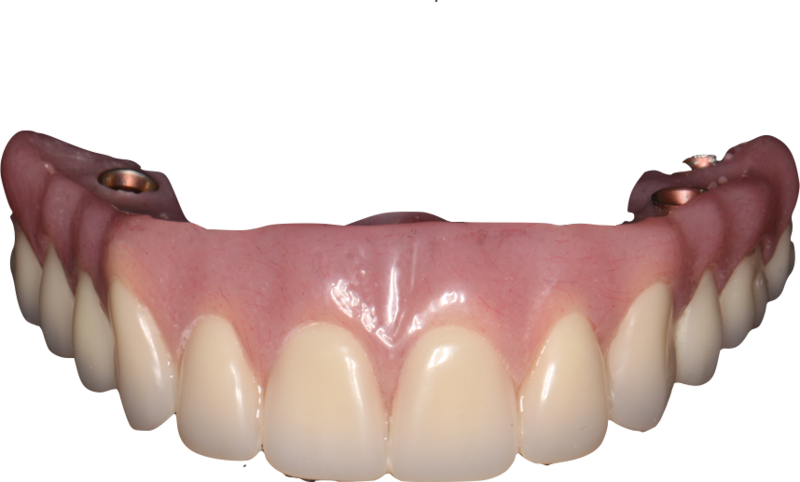 On the lower denture, the edges are removed which allows for more space for your tongue. The materials range from traditional acrylic to porcelain like crown and bridge for enhanced esthetics. If you desire a permanent solution for missing teeth, then visit our clinic today in Kansas City.